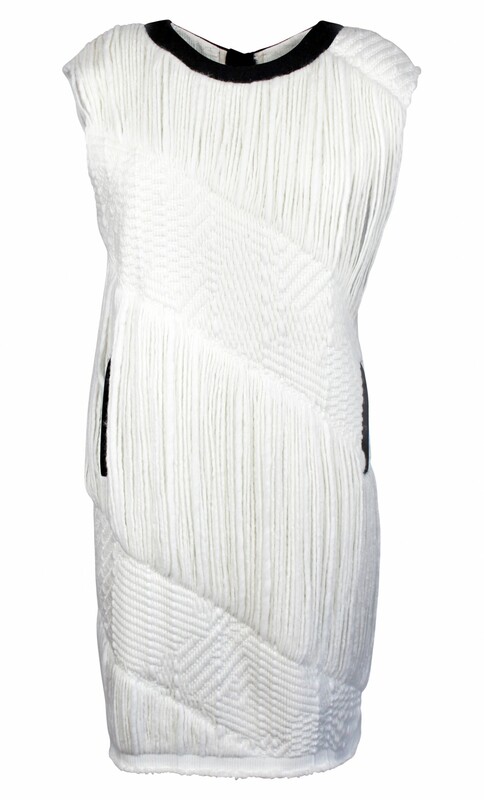 The cream coloured dress is crafted from a soft knit fabric, diagonally tiered with chunky knit and fixed fringes panels. 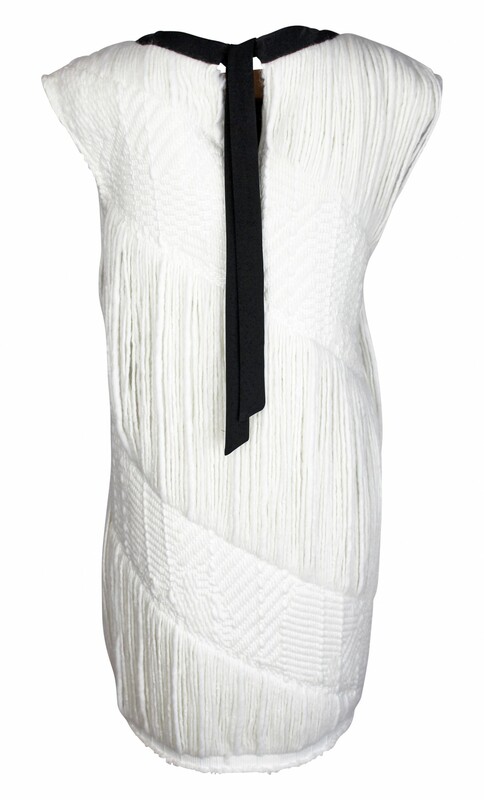 The dress features a contrasting back ties and neckline made from a black crepe. The slant pockets of the dress are highlighted in the black crepe as well.